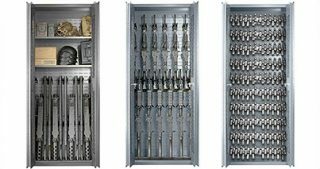 The Model 72 weapon rack is designed for storing rifles, shotguns and gear. 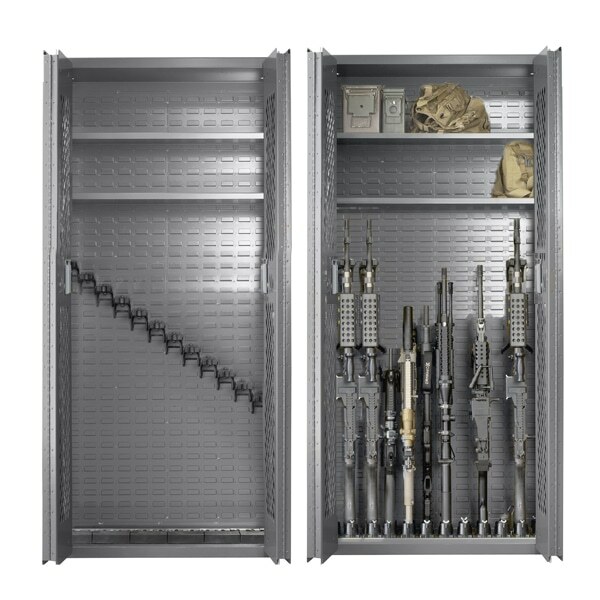 The most popular configuration is 12 long guns at the bottom with 2 shelves above for gear storage. 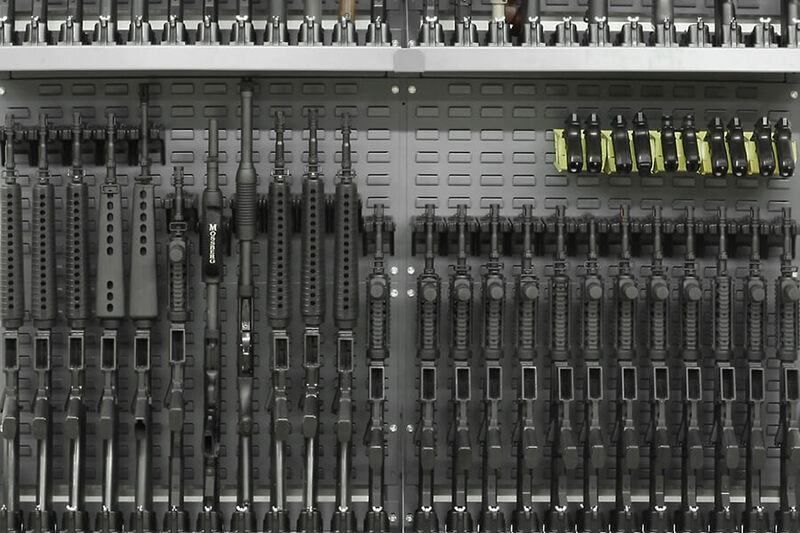 The Model 72 Weapon Rack can store rifles, Crew-served weapon as well as most shoulder launch weapon system. 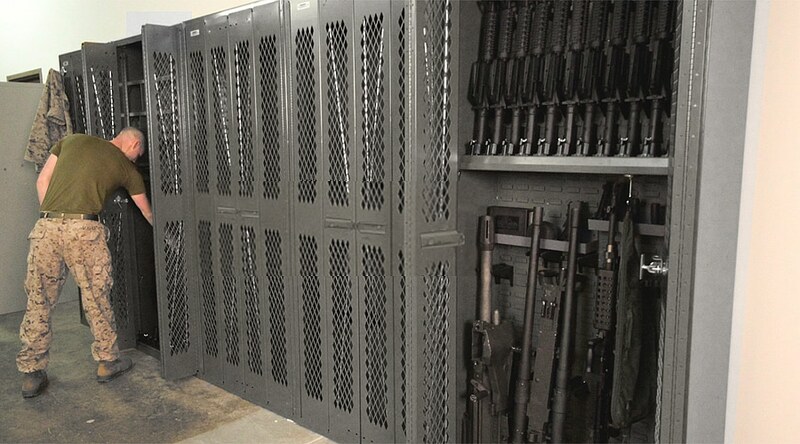 Customize this versatile cabinet with shelves and SecureIt's CradleGrid system. 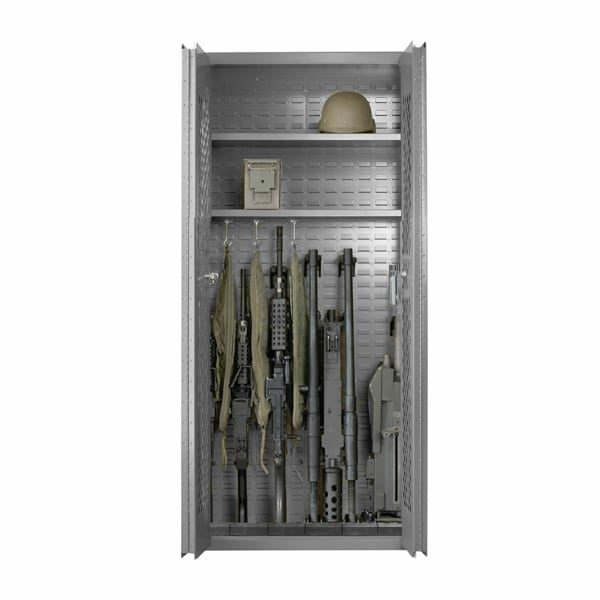 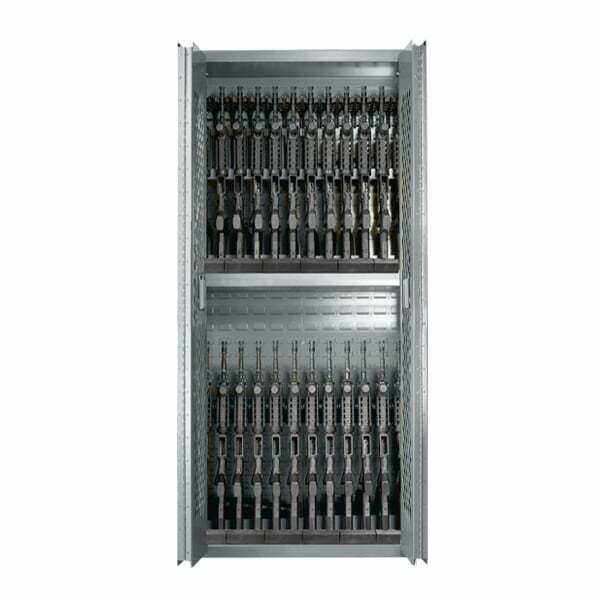 The 72" high weapon cabinet is capable of storing up to 24 M4s or carbines. 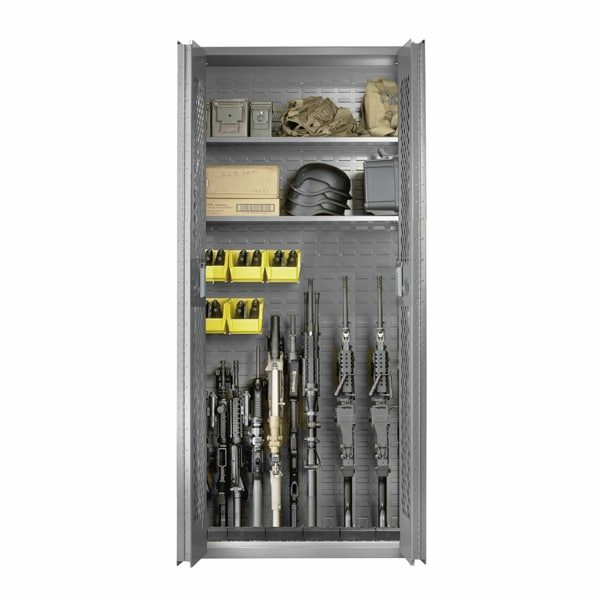 SecureIt Tactical's Weapon Storage Platform quickly adapts to any weapon system in minutes without tools. 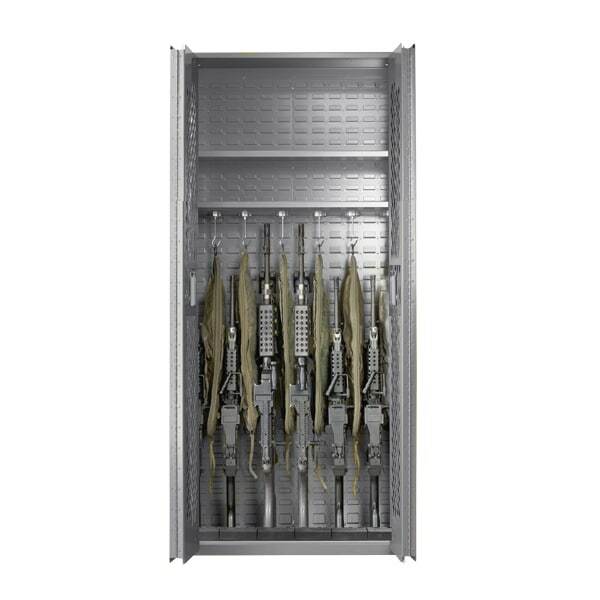 Approved by Tacom, Marcorsyscom and the Navy for ship board applications.